My future in-laws are in town, adventure ensues! 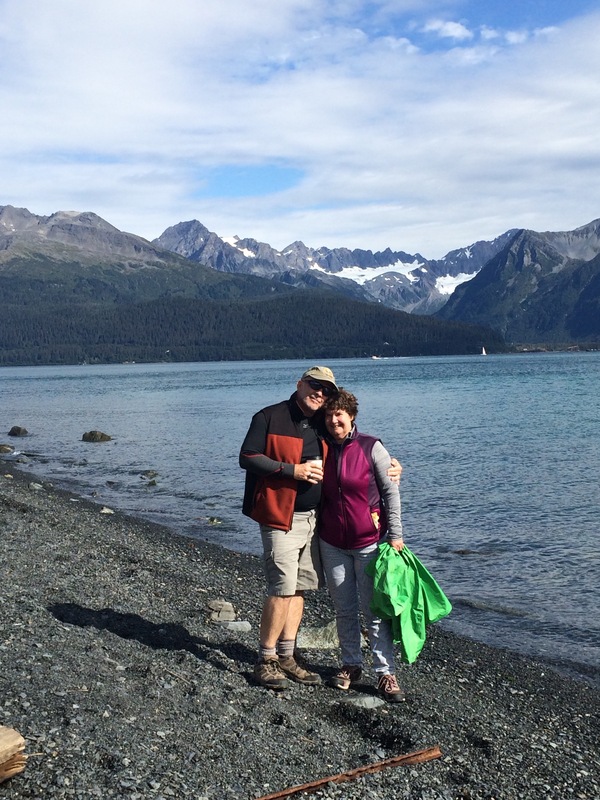 Despite grey skies and work schedules, we’re making the most of their time in Alaska. 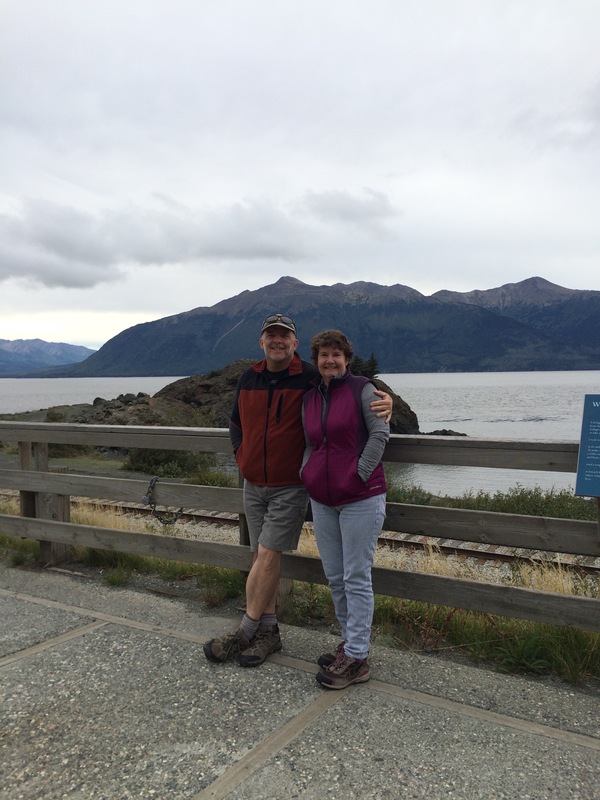 This is their second winter visit and we have a family tradition: one weekend at Alyeska. Skiing optional, hot tub not. Before we made it to Girdwood, Adam took John for his first ever backcountry tour in Arctic Valley and I took Barb and Emily to their first ever spin class at Anchorage Cycle. All newbies walked away a little tired and very happy with the experiences. And, we had another earthquake tonight. Smaller than the last (at time of writing), this one woke me up. Yeesh. If you’re in the U.S., you must have seen the recent news that President Obama had come to our state. He was here to attend the GLACIER Conference, see the effects of climate change first-hand and cross a trip off his bucket list. 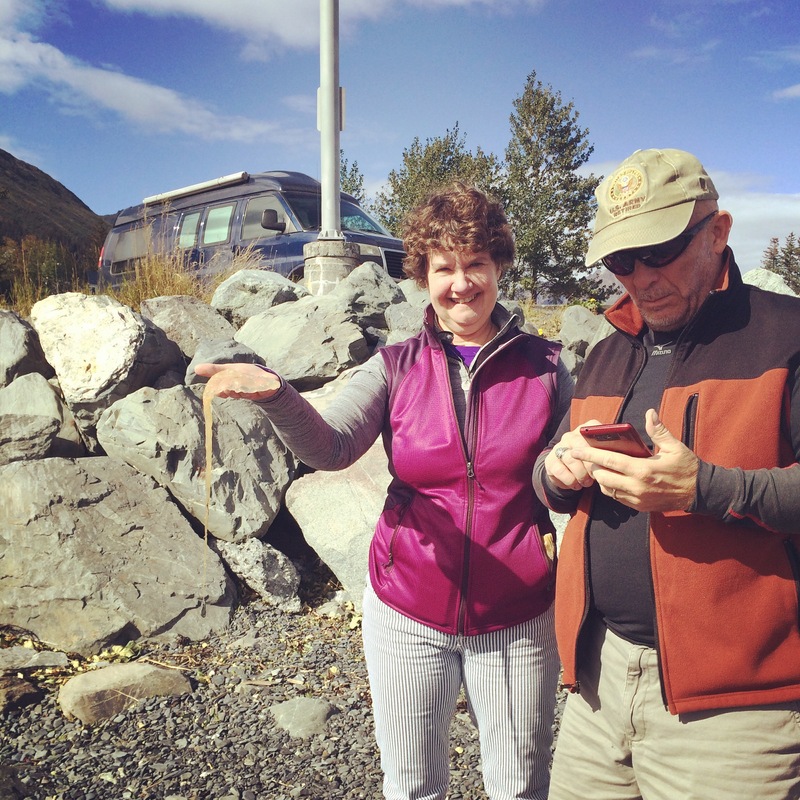 While the President’s trip is very important and exciting, I have been distracted by even more important out-of-towners: my dad & stepmom, on their first ever Alaskan vacation. And like it did for Barry (can I call you, Barry, Mr. Pres? Given that I’ve been to your house and now you’ve been to mine, I should think we’re this familiar), Alaska is delivering. 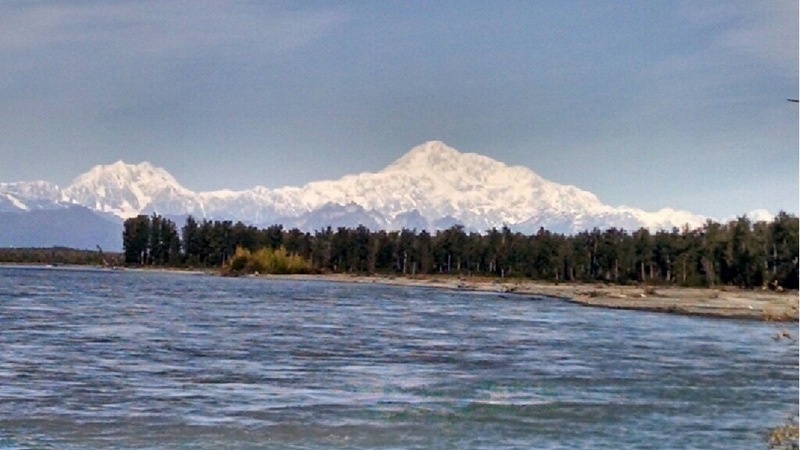 I’m talking bluebird skies, whales, Denali, grizzly bears and even a little snow. 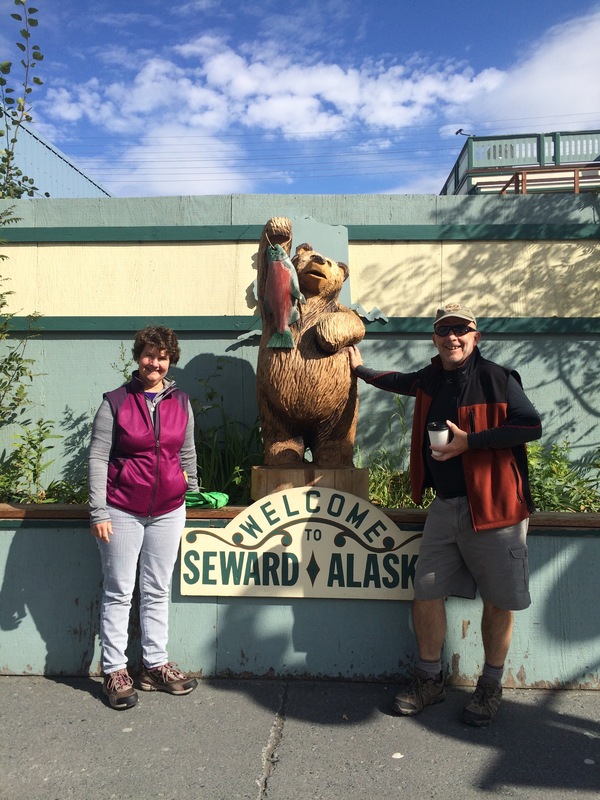 For their first weekend in town, it was down to Seward and Resurrection Bay. For the full “experience” of a vacation with Adam & Aimee, we camped Saturday night and hiked to the Harding Ice Field the next morning. Dad & Liz were toasty warm in the Mountain Hardwear Trango, while our REI tent nearly capsized in the wind over night. Adam & I had to head back to work (yes, alas, jobs are calling), so D&L have been on their own for sightseeing. Their tour has included: a day in Anchorage at the Native Heritage Center, a visit to base for retired Army dad and a three day excursion up to Denali National Park, with pitstops on both ends in Talkeetna. Showing the people you love the place you love is a real joy. 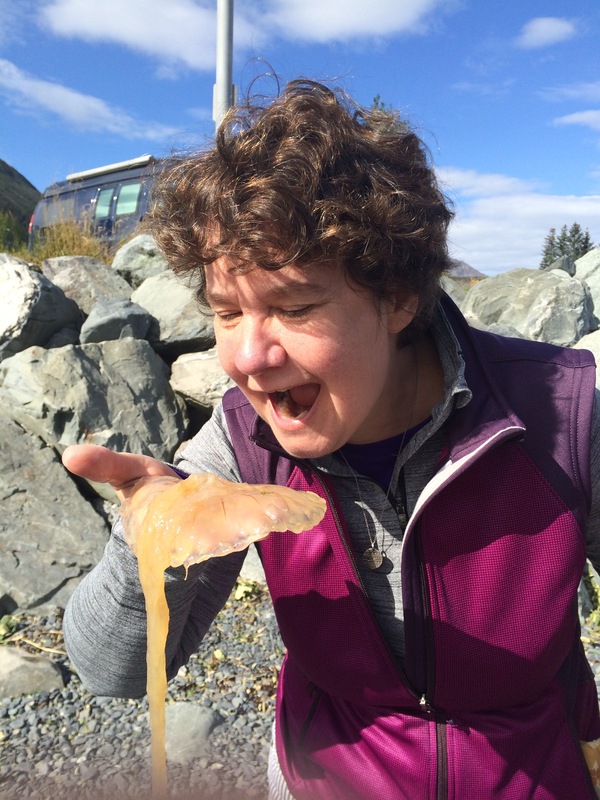 To see Alaska again through fresh lenses, to share your favorite sights, smells, tastes and places renews their specialness. And when your family falls in love with it too, that’s just a cherry on top. 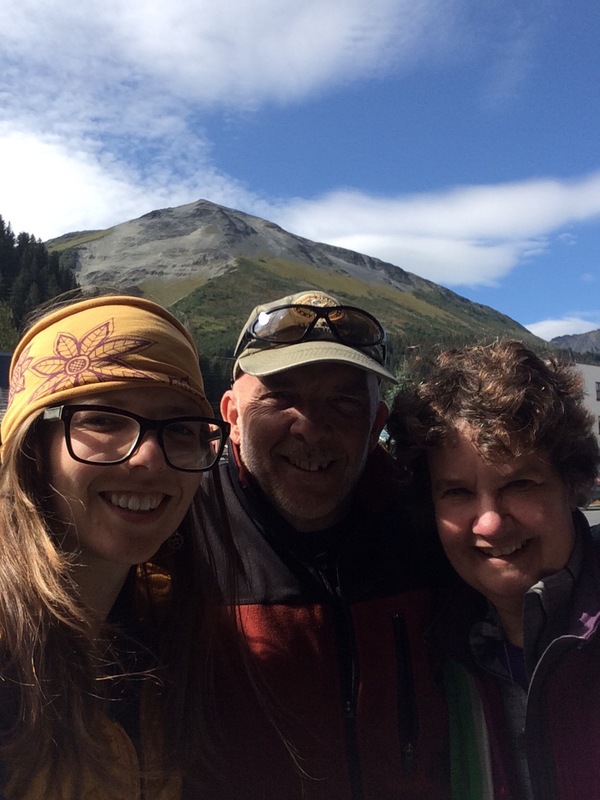 Dad & Liz are already planning their next trip back – to venture into Denali’s backcountry, explore McCarthy and Kennicott, and maybe even run a marathon with me. Mount Marathon… Liz is thinking of entering the lottery. 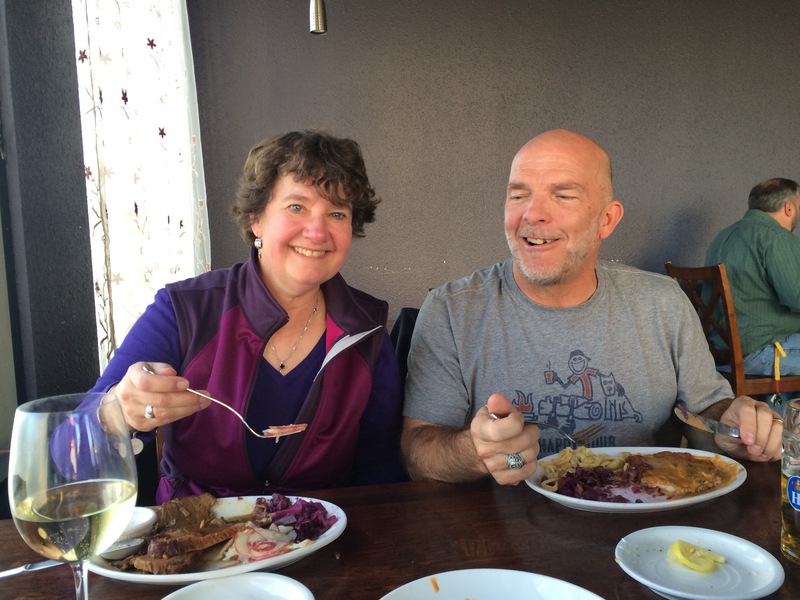 Dinner at West Berlin in Mountain View. We’d been saving this visit for Dad, he was stationed in Germany 2x between 80s and late 90s. Delish! 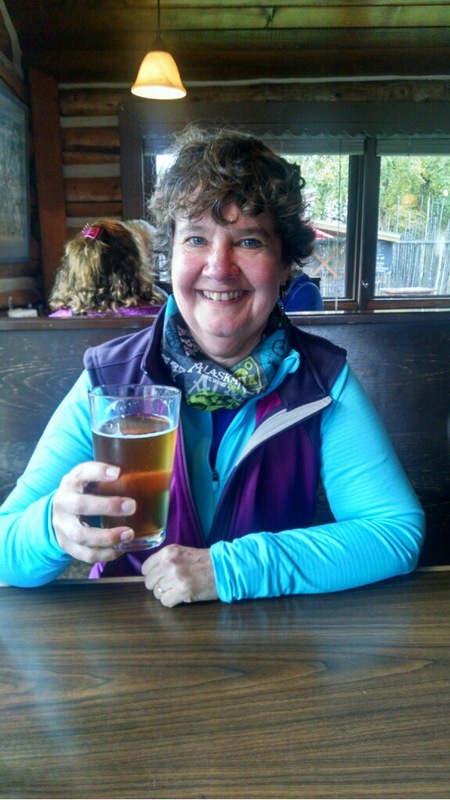 Today’s text update from Talkeetna: enjoying an ale at the Denali Brewing Co. The Big One, making an appearance! Thank you women who raised & influenced me, for all of your qualities and impact you’ve had in my life. I come from (by blood and relationships) a lineage of strong, badass women and I love them all! Happy Mother’s Day. 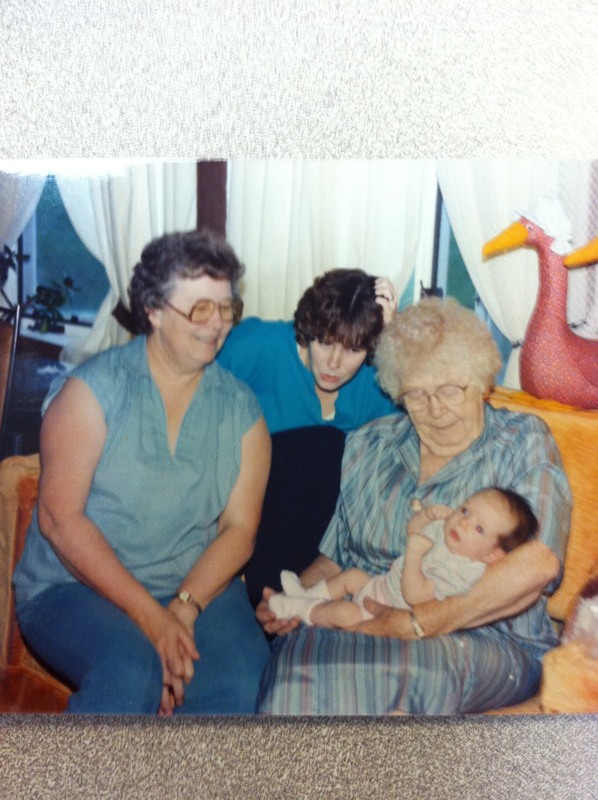 I’m lucky enough to have known my Great-Grandma Leona Oxley for nearly 14 years of my life. Some folks get stuck with 1 mom. I’m lucky enough to have two amazing women in my life. 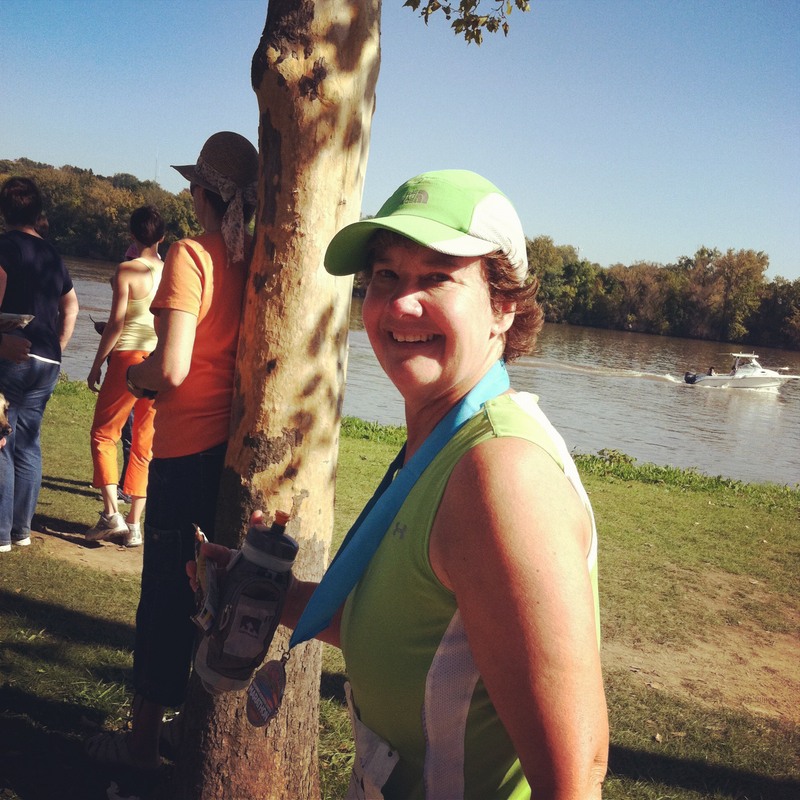 Here’s stepmom Liz after finishing a marathon on her 50th birthday! 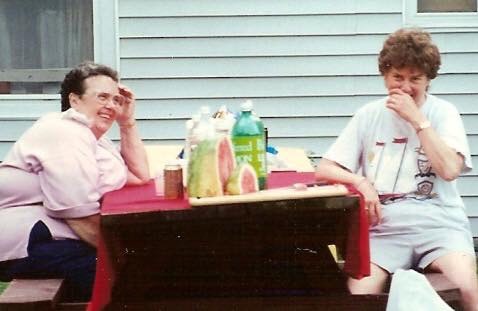 And remembering those we love and lost: MomMom & Grandma Char. I think of backrubs, the Sound of Music, the Pointer Sisters and a woman who encouraged my passion for reading and culture.